1. ^ a b c d e f g h i ﻿Influenza (Seasonal)﻿ (Report). WHO. (2014-03). http://www.who.int/mediacentre/factsheets/fs211/en/. 6. ^ a b Carrat F, Luong J, Lao H, Sallé A, Lajaunie C, Wackernagel H (2006). “A 'small-world-like' model for comparing interventions aimed at preventing and controlling influenza pandemics”. BMC Med 4: 26. doi:10.1186/1741-7015-4-26. PMC 1626479. PMID 17059593. http://www.pubmedcentral.nih.gov/articlerender.fcgi?tool=pmcentrez&artid=1626479. 7. ^ Mitamura K, Sugaya N (2006). “[Diagnosis and Treatment of influenza—clinical investigation on viral shedding in children with influenza]”. Uirusu 56 (1): 109–16. doi:10.2222/jsv.56.109. PMID 17038819. 8. ^ Grassly NC, Fraser C (June 2008). “Mathematical models of infectious disease transmission”. Nat. Rev. Microbiol. 6 (6): 477–87. PMID 18533288. 9. ^ a b c d Weber TP, Stilianakis NI (November 2008). “Inactivation of influenza A viruses in the environment and modes of transmission: a critical review”. J. Infect. 57 (5): 361–73. doi:10.1016/j.jinf.2008.08.013. PMID 18848358. 10. ^ Hall CB (August 2007). 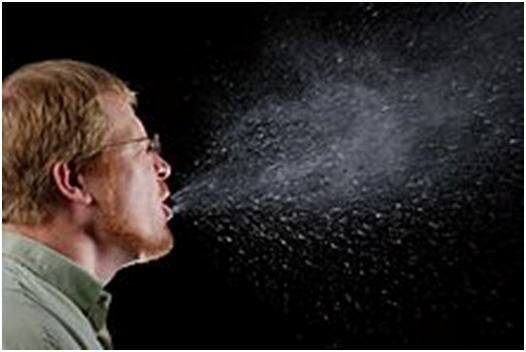 “The spread of influenza and other respiratory viruses: complexities and conjectures”. Clin. Infect. Dis. 45 (3): 353–9. doi:10.1086/519433. PMID 17599315. http://www.journals.uchicago.edu/doi/full/10.1086/519433. 11. ^ Tellier R (November 2006). “Review of aerosol transmission of influenza A virus”. Emerging Infect. Dis. 12 (11): 1657–62. PMID 17283614. http://www.cdc.gov/ncidod/EID/vol12no11/06-0426.htm. 12. ^ Brankston G, Gitterman L, Hirji Z, Lemieux C, Gardam M (April 2007). 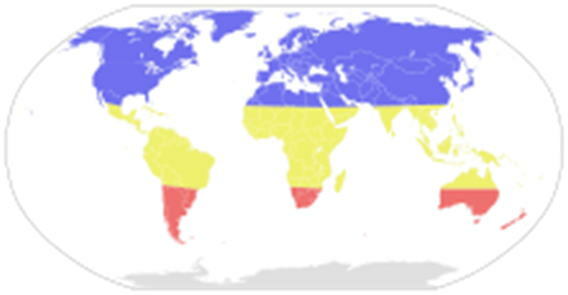 “Transmission of influenza A in human beings”. Lancet Infect Dis 7 (4): 257–65. doi:10.1016/S1473-3099(07)70029-4. PMID 17376383. 13. ^ Cole E, Cook C (1998). “Characterization of infectious aerosols in health care facilities: an aid to effective engineering controls and preventive strategies”. Am J Infect Control 26 (4): 453–64. doi:10.1016/S0196-6553(98)70046-X. PMID 9721404. 14. ^ Thomas Y, Vogel G, Wunderli W, et al. (May 2008). “Survival of influenza virus on banknotes”. Appl. Environ. Microbiol. 74 (10): 3002–7. doi:10.1128/AEM.00076-08. PMC 2394922. PMID 18359825. http://www.pubmedcentral.nih.gov/articlerender.fcgi?tool=pmcentrez&artid=2394922. 16. ^ Bean B, Moore BM, Sterner B, Peterson LR, Gerding DN, Balfour HH (July 1982). 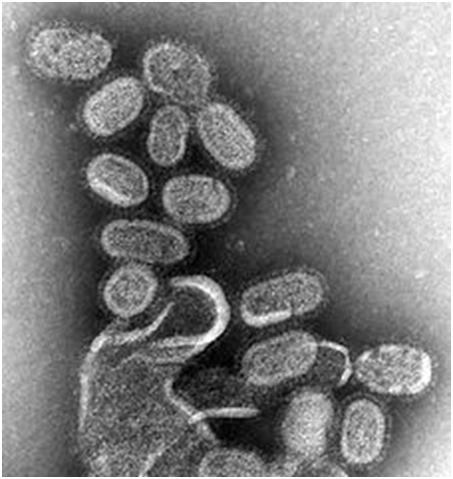 “Survival of influenza viruses on environmental surfaces”. J. Infect. Dis. 146 (1): 47–51. PMID 6282993. 22. ^ HARPER GJ (1961). “Airborne micro-organisms: survival tests with four viruses”. J Hyg (Lond) 59: 479–86. PMC 2134455. PMID 13904777. http://www.pubmedcentral.nih.gov/articlerender.fcgi?tool=pmcentrez&artid=2134455. 27. ^ Bean B, Moore BM, Sterner B, Peterson LR, Gerding DN, Balfour HH (July 1982). “Survival of influenza viruses on environmental surfaces”. J. Infect. Dis. 146 (1): 47–51. PMID 6282993. 29. ^ Urashima, M.; Segawa, T.; Okazaki, M.; Kurihara, M.; Wada, Y.; Ida, H. (2010). 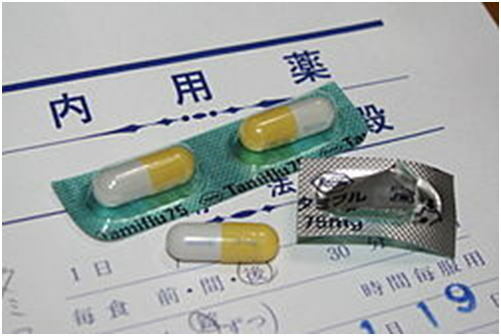 “Randomized trial of vitamin D supplementation to prevent seasonal influenza A in schoolchildren”. American Journal of Clinical Nutrition 91 (5): 1255–1260. doi:10.3945/ajcn.2009.29094. ISSN 0002-9165. 36. ^ EBM Reviews - ACP Journal Club An intranasal influenza vaccine for the prevention of influenza in healthy children was cost-effective ACP Journal Club. v136 (2): 75, March/April, 2002. 42. 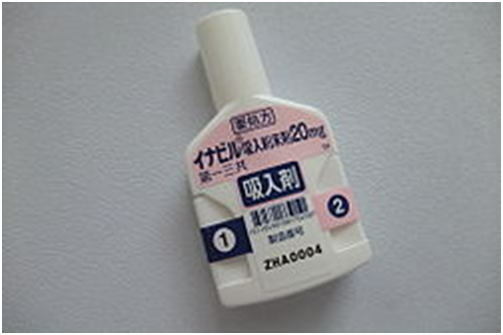 ^ a b c 英国国立医療技術評価機構 2008. 49. ^ a b 英国国立医療技術評価機構 2009. 53. ^ Rocha-Pereira J, Jochmans D, Dallmeier K, Leyssen P, Nascimento MS, Neyts J (2012). 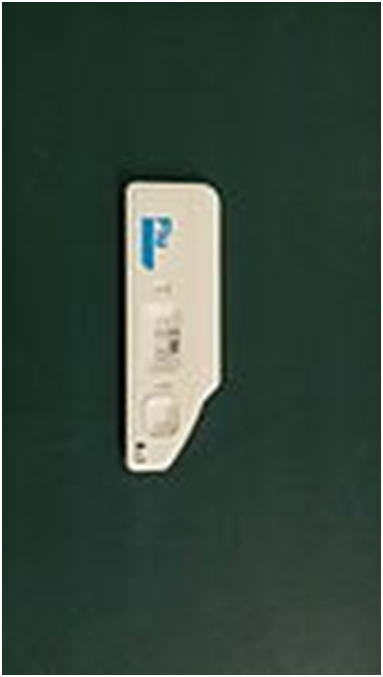 “Favipiravir (T-705) inhibits in vitro norovirus replication.” (abstract). Biochem Biophys Res Commun. 424 (4): 777-80. doi:10.1016/j.bbrc.2012.07.034. PMID 22809499. http://www.sciencedirect.com/science/article/pii/S0006291X12013174.